Plot: For decades the Demon Sword Sounga has taken control of humans and demons, forcing them to kill until they themselves are killed. The only demon able to resist the Sword, and use it in battle without it taking control of them, was Inuyasha`s father. Sounga, the sword of hell, is released from a seal placed upon it by the demon swordsmith Totosai and possess Inuyasha. Forcing him to attack his friends and all those near him. 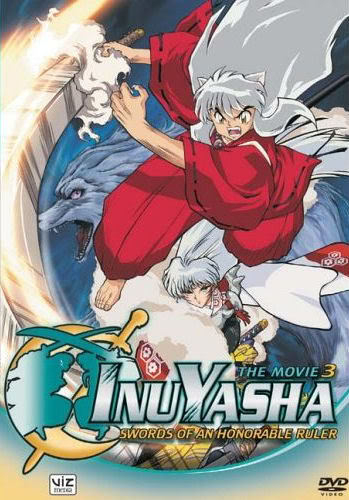 Sesshomaru battles Inuyasha in an attempt to take Sounga, as he wanted to do years before when their father held it, and forces Sounga to flee. Taking control of their fathers human enemy, Takemaru of Setsuna, Sounga sets out to drag the entire world into hell. Will Inuyasha and Sesshomaru be able to fight against Sounga and Takemaru side by side? Find out in "Inuyasha: Sword of an Honorable Ruler".